All new for 2017 is the amazing new SeeTouch Dash Control System – now standard on all Supreme models. The SeeTouch dash features a full color screen with quick menu navigation that runs all of the essentials on your Supreme. 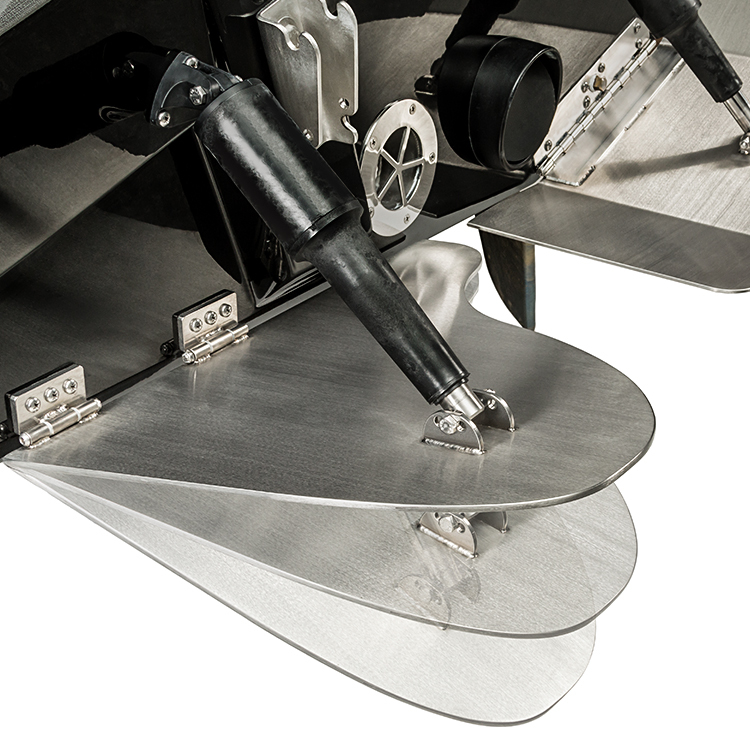 Control your ballast and QuickSurf settings with precise measurements to dial in the perfect wave every time. The new SeeTouch Dash gives you complete control over your speed with Zero Off GPS Cruise Control. 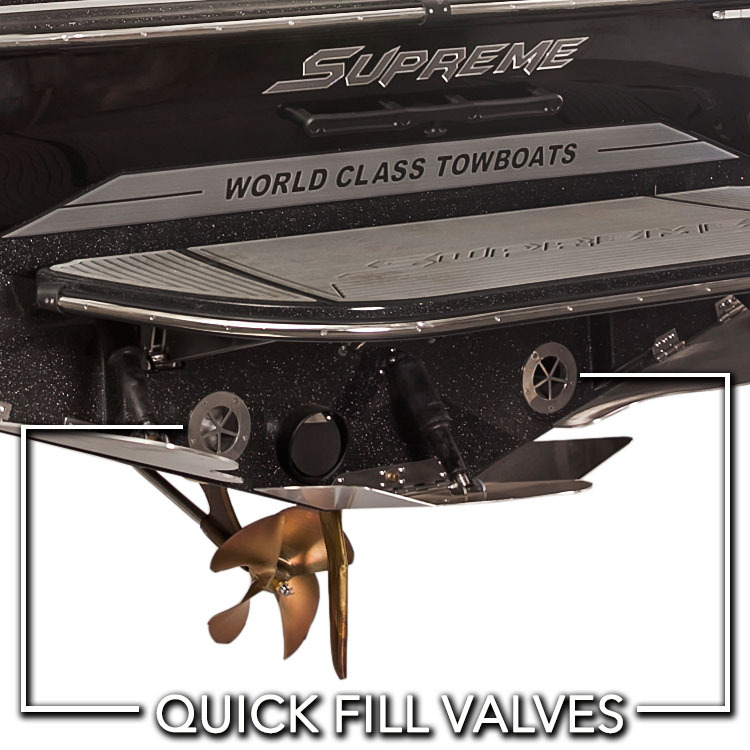 Zero Off allows you to make speed changes as low as 0.1 MPH – giving you the perfect wake every time. 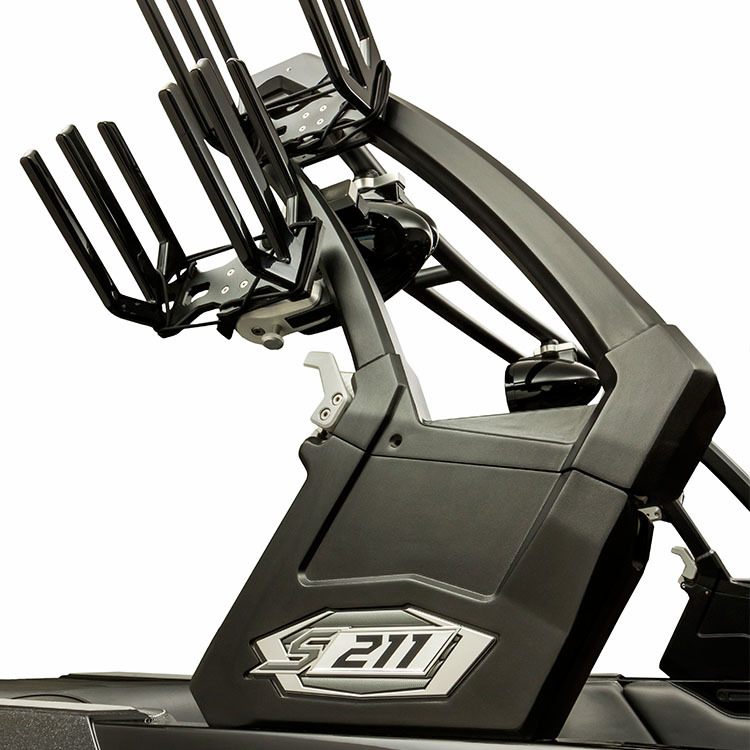 This system works seamlessly with PCM Engine’s digital throttle system that engages and holds speed immediately with silky smooth throttle control. 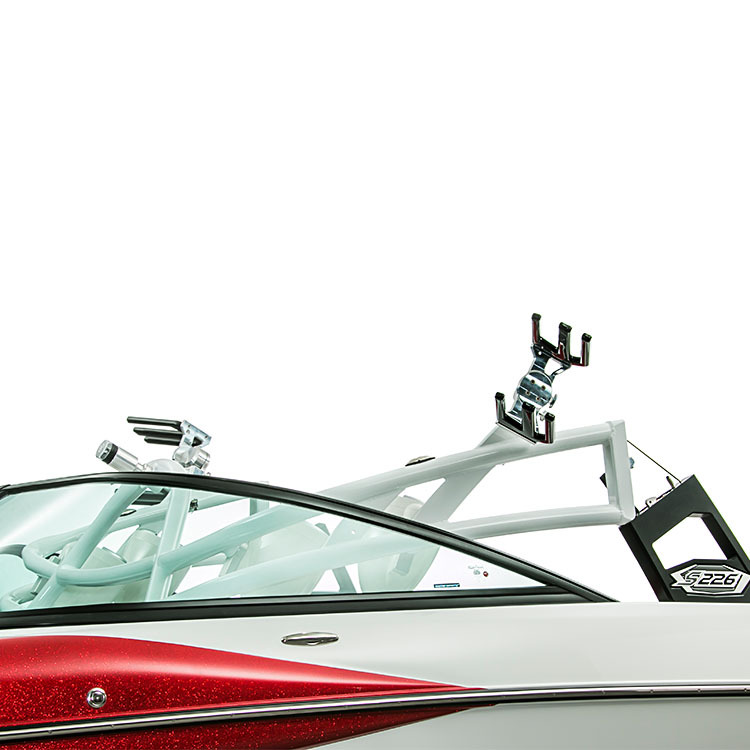 Supreme tops off their incredible boats with two different tower options for 2017. 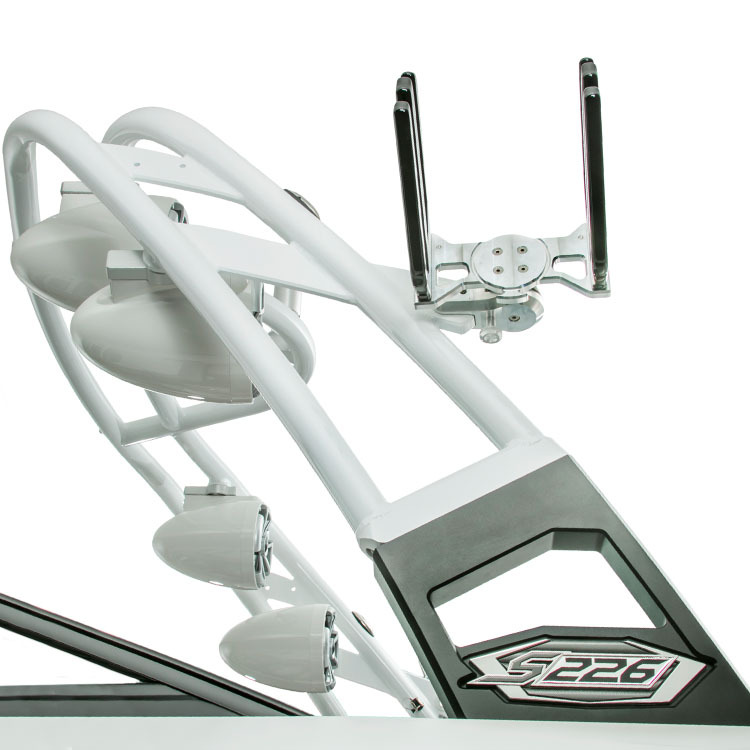 Your storage compartments just got emptied out by opting for up to 4 board racks featuring locking swivels that can store up to 8 boards in the tower. 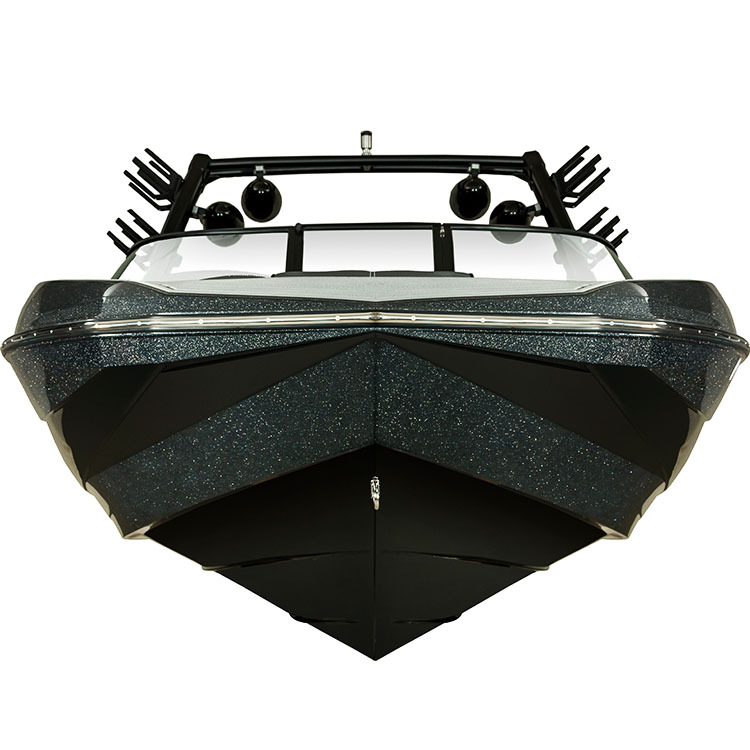 This is easily collapsed with quick half-turn cam locks and full weight assist which allows a single person to effortlessly move it up or down. 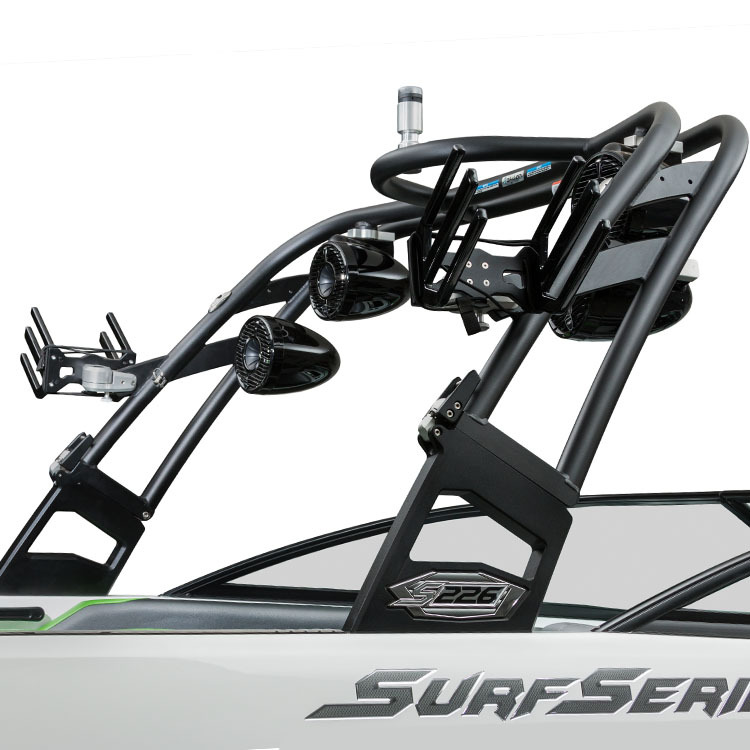 The S5 tower is topped off with an extra large top quality bimini top with built in surf sleeves and optional Wetsounds tower speakers for cranking up the volume on the water. 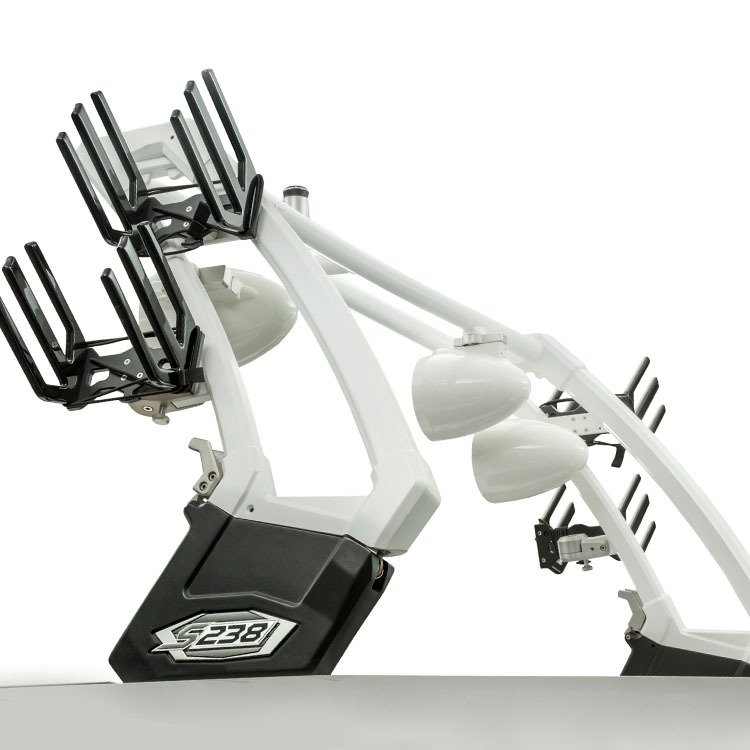 OCTO TOWER – Available on the S202, S211 and S238. 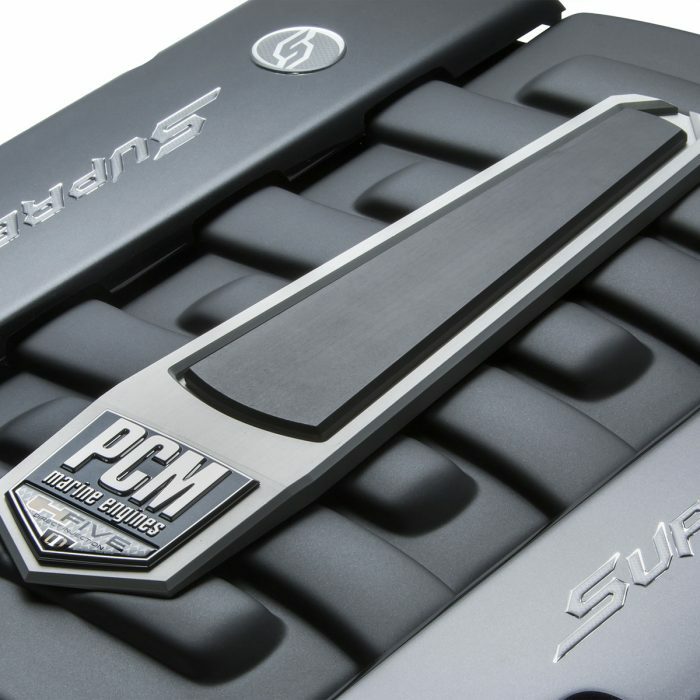 PCM has introduced the all new Hyperformance engine lineup, bringing you the latest engine technologies including their exclusive Direct Injection fuel delivery system. These new engines produce more torque, more horsepower and greater fuel efficiency than any other engines in their class.